During the ceremony, each of the 83 names are read aloud and a bell is rung after each name. 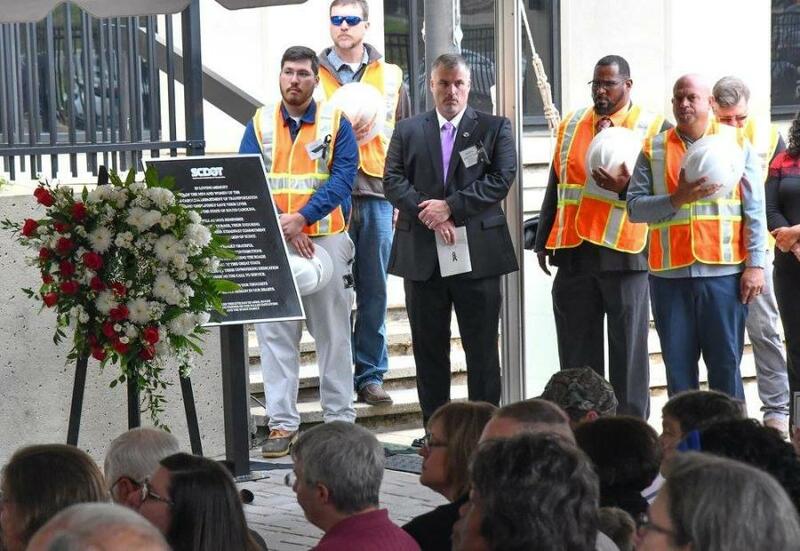 The South Carolina Department of Transportation (SCDOT) unveiled a memorial on April 27, 2018, to honor the men and women who have given their lives in service to SCDOT and the state of South Carolina. 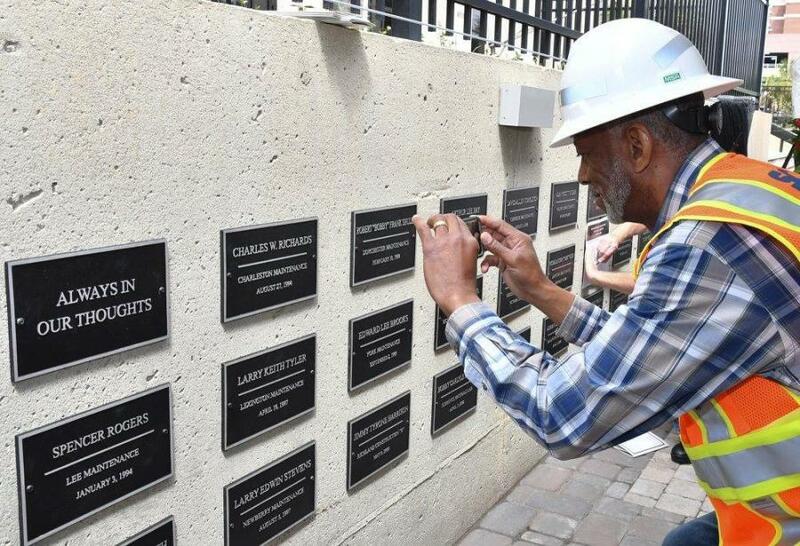 Adorned with names dating back to the 1920s, the SCDOT Workers Memorial was unveiled during a ceremony in front of SCDOT Headquarters at 955 Park St., in Columbia. Gov. Henry McMaster, Secretary of Transportation Christy Hall and SCDOT Commission Chairman Ben H. Davis Jr. were among the speakers. “Governor McMaster, thank you for being here today as it clearly shows just how much you care for the people of South Carolina and your appreciation for the sacrifices that are made in the line of duty to our great state,” Hall said during his speech. The memorial honors SCDOT employees killed while working on the highways as well as those who died on the job from natural causes. During the ceremony, each of the 83 names was read aloud and a bell was rung after each name. Leland Colvin, SCDOT deputy secretary of engineering, felt moved by the hundreds of people who attended the ceremony. “I am honestly overwhelmed by the show of support from all of the families, friends, guests and employees of SCDOT that are gathered here with us today,” Colvin said. Robert Webb joined Hall and McMaster to lay a wreath at the memorial. Webb, an employee in SCDOT's traffic engineering division, lost his father, Edsel C. Webb on Nov. 17, 1969. Webb was an employee in the SCDOT Greenville maintenance office at the time of this death. Mashburn Raises First Five-Story 'Tilt-Up' in S.C.